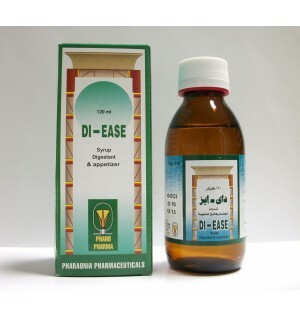 – Children from 4 years and above: 5 ml (One teaspoonful) two times daily. – Adults: 15 ml (one tablespoonful) once daily. – The intake of Calcium may Influence the absorption &Efficiency of some medicine such as tetracyclines & quinolones . pregnant women, patients with liver disease- or kidney disease and patients who are taking other drugs containing Metronidazole or Disulfiram since it contains Propylene glycol. -If you have been told by your doctor that you have intolerance to some sugars, contact your doctor before taking this product since it contains sucrose. -This product contains sorbitol it may cause softening in stool and it has a laxative effect in overdose. – Calcid B12 syrup may cause allergic and\or intolerance reactions, particularly amongst those with an aspirin intolerance since it contains sunset yellow. 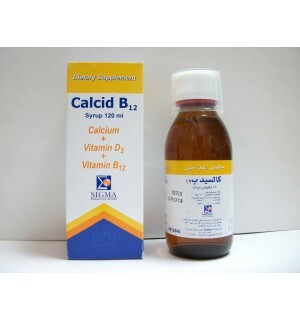 – Calcid B12 syrup contains saccharine it should not be used in case of patients with liver disease since it has been reported that saccharine may cause elevation in liver enzymes. – Since this product contains Methyl paraben & propyl paraben, it should not be used in case of children less than 3 years old. Carton box of amber glass bottle 120 ml of syrup with pilfered proof plastic cap + inner leaflet. Store at temperature not exceeding 30 0 C.
SIGMA Pharmaceutical Industries – Egypt – S.A.E.